Mr. 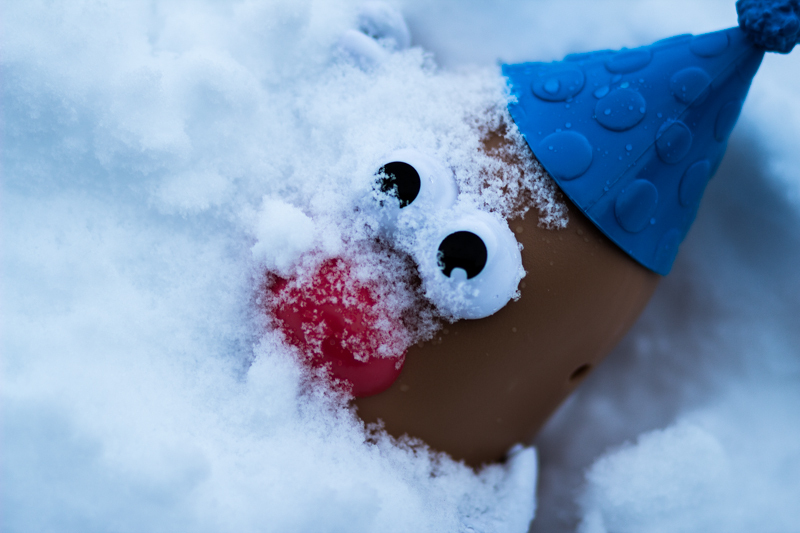 Potato head get buried by a pile of snow. Shot was taken in my backyard after a good size snowfall. A nice idea but I'd like the toy to have rather more personality so that I can identify with its predicament. Proudly hosted by Sargasso Networks. Current Server Time: 04/18/2019 05:00:54 PM EDT.